More real banana in every bite than you would believe possible. But it’s not heavy & dense like banana bread – it’s cake, yo! 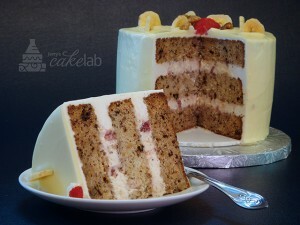 My super-moist banana cake, with its tender crumb and fine texture, features natural sweetness and aromas from actual bananas and finely-chopped walnuts.